You'd be nuts to not be nuts...for these nuts. 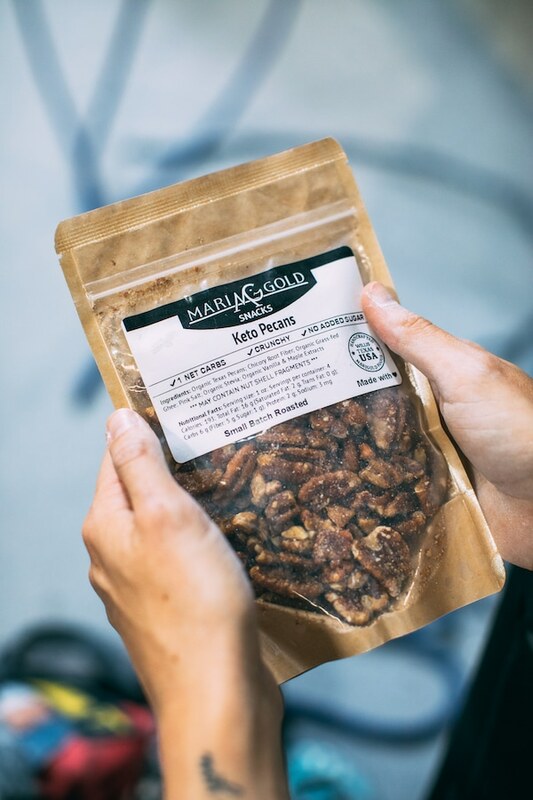 MariGold Bars may be known for their award-winning protein bars, but they have an equally outstanding line of artisanal nuts, including the best-tasting praline pecans I’ve ever had–and the only ones I’ve had that I can honestly say are healthy. That’s what really makes these stand out, because otherwise, let’s face it, praline pecans are a treat that comes with at least a little guilt. 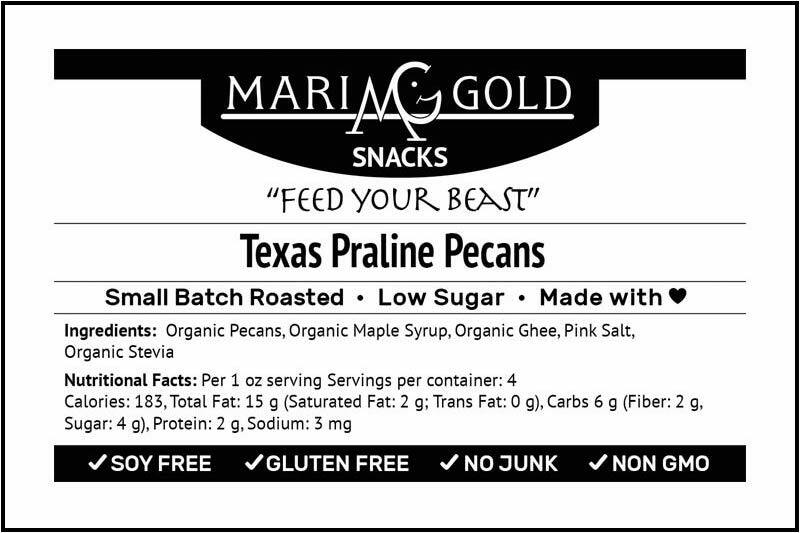 Just like MariGold’s protein bars, these are no ordinary praline pecans. Who knew there was room to innovate in the glazed nuts category, but turns out that’s exactly what MariGold has done here. 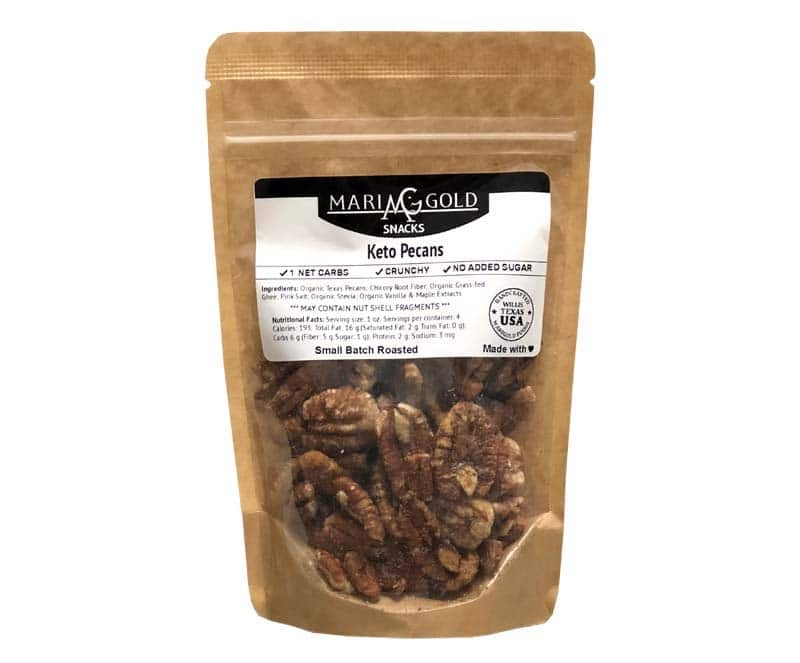 With “Keto Pecans”, MariGold managed to add healthy prebiotic fiber to the praline glaze in a way that actually enhances the taste and texture. 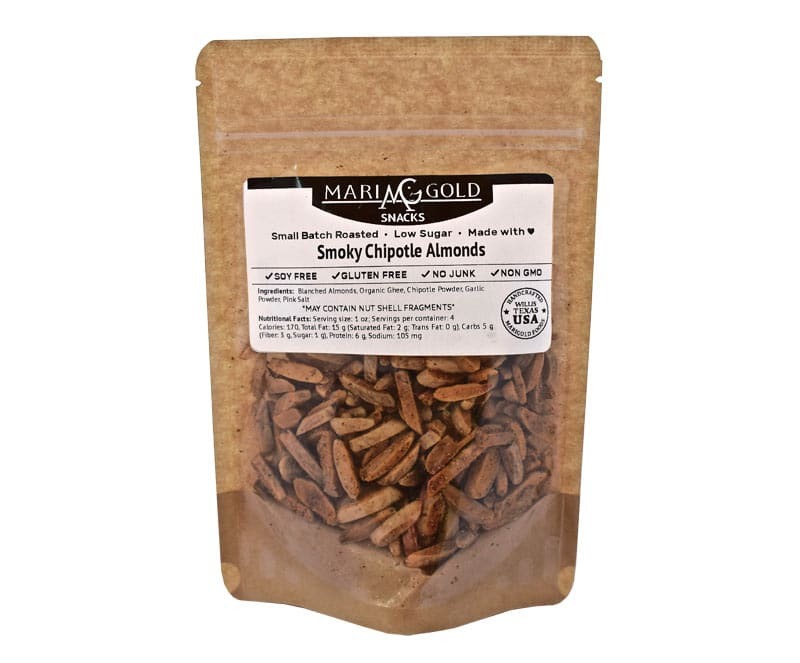 They taste like the praline pecans you know and love but are sweetened with chicory root, which is a naturally sweet prebiotic fiber. They are sugar-free without using any artificial sweeteners, and have almost no carbs at all. Please your palette while supporting your good health! These are some seriously healthy praline pecans: You get all the nutrition of pecans plus extra prebiotic fiber from the chicory root, and omega-3’s from the grass-fed ghee. These are the obvious choice if you’re keto or otherwise looking to keep your sugar intake low and fiber intake high (and who isn’t?). Buy them on MariGold’s website. Save $10 with promo code HFB10 when you buy 6 bags. 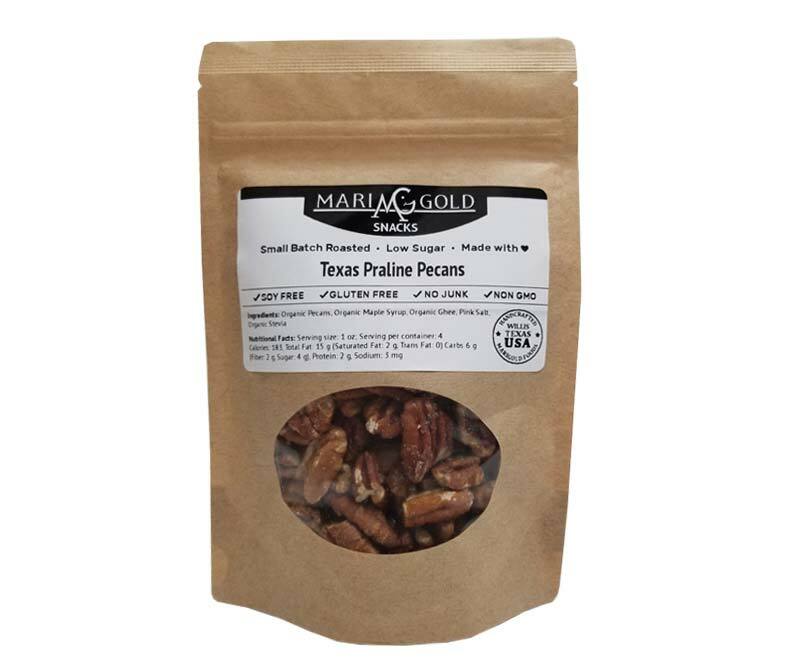 True to their Texas roots, these are the best praline pecans money can buy. Buy them on MariGold’s website. 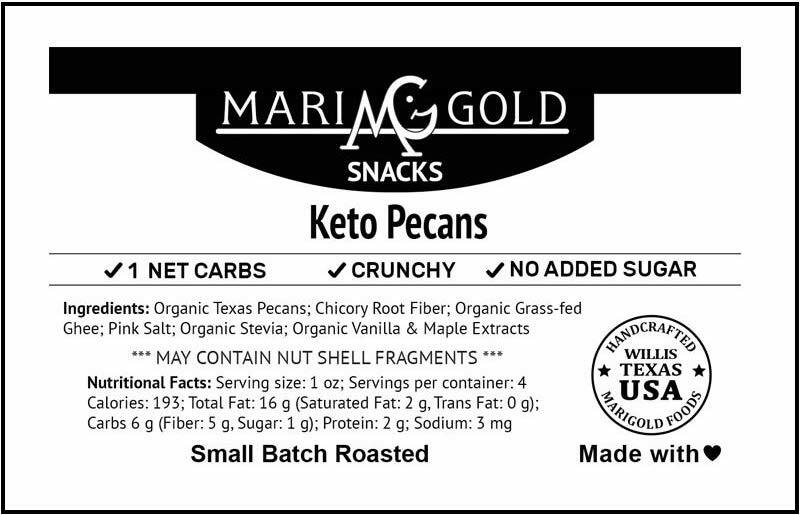 Personally, I stock my pantry with both Texas Praline Pecans and Keto Pecans. If you’re now as nuts as I am and are ready to splurge, go big and you can get $10 off by using promo code HFB10. 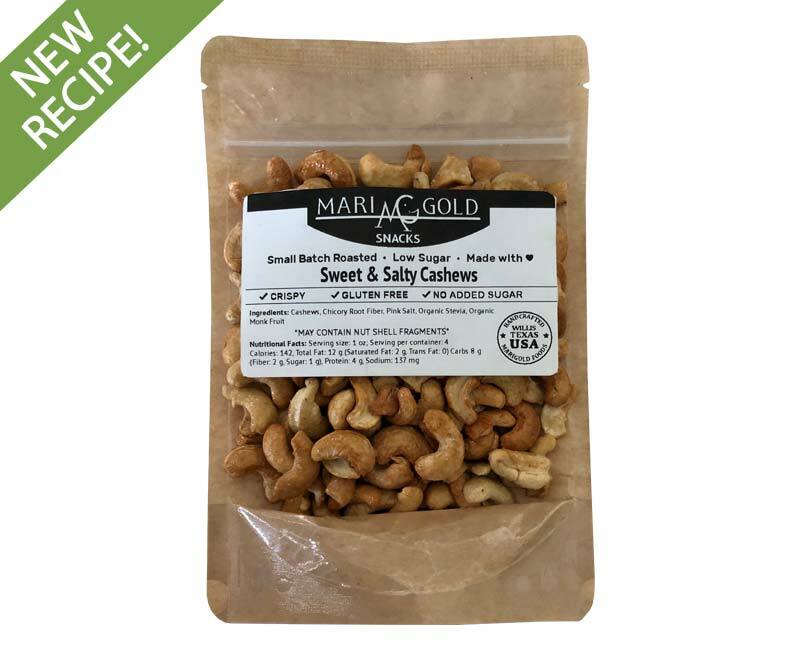 Healthy praline pecans are the obvious choice for anyone avoiding lectins, but if you’re not, MariGold also carries Chocolate Cashew Crunch, Smokey Chipotle Almonds and Sweet and Salty Cashews. Six bags might sounds like a lot of nuts, but you can mix and match flavors, and trust me they will go fast! They also make great gifts…if you can bring yourself to part with them! 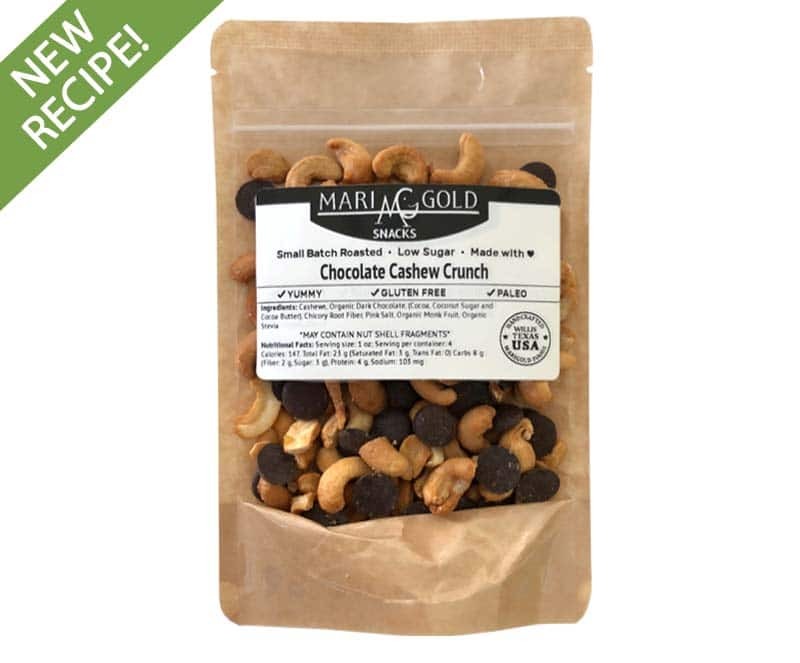 Alternatively, you can use the $10 promo on a single box of MariGold’s award-winning protein bars (read my review), and drop in a single bag of nuts on the side. If you’re keto, there’s a discounted bundle of bars and nuts (limited time offer). *No direct affiliation with Dr. Gundry, GundryMD or The Plant Paradox Diet. 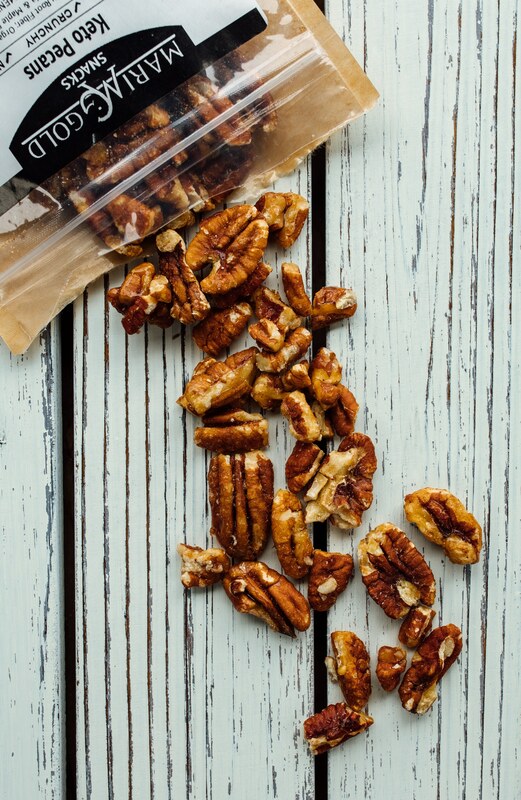 With snack size bags, easily take these healthy pecans with you wherever you go.